What's happening in Libya and who was Colonel Gaddafi? Newsround's guide to the conflict in Libya: who was Colonel Gaddafi, what's the history and why is it such a big deal for the UK? Why did the trouble start in Libya? Some people in Libya started protesting against their leader Colonel Gaddafi because they were fed up with the way he has ruled the country. The protests were peaceful at first but they turned into a violent confrontation. 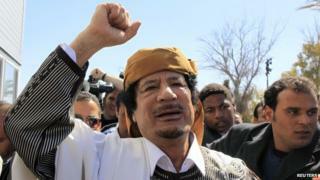 Col Gaddafi lost a lot of Libya's main towns to rebel fighters who were trying to get rid of him. Gaddafi's forces started fighting back and killing people, and for a long while there was stalemate because neither Gaddafi nor the rebels seemed to have enough power to be able to win. But in August 2011 the rebels took over the capital Tripoli and an temporary government called the National Transitional Council took charge of the country. 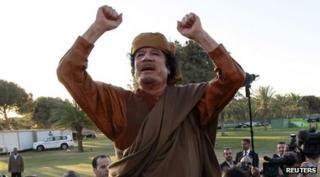 After the fall of Tripoli, Col Gaddafi went into hiding, insisting he would rather die than surrender. In October, he was found in hiding and shot during an attempt to capture him, and died of his wounds shortly afterwards. Colonel Muammar Gaddafi ruled Libya for 42 years after he took power from King Idris I, when he was just 27 years old. That made him the longest serving ruler in the Arab world and in Africa. In that time he ruled Libya brutally - people who disagreed with him were dealt with ruthlessly, often imprisoned and sometimes killed. He even made it illegal for political parties to oppose his revolution - and the media was controlled by the government. As the leader of Libya, he always tried to be as powerful as possible in the Arab world and in Africa. The country now faces the task of rebuilding itself after months of civil war. Libya is a very rich country - one of the richest in Africa - because it has a huge amount of oil reserves. It's also possible that tourism could take off there: it has many beautiful beaches bordering the Mediterranean Sea. The temporary government, the National Transitional Council (NTC), wants to bring democracy to the country, introducing elections so that Libyans can choose who governs them. But it could go another way: with Col Gaddafi gone, the people may no longer feel united by their hatred of their leader - and arguments could start between the politicians representing different groups. How were the British involved in the conflict? For five months the UK (alongside other countries) launched missile attacks from the air against Libya, to try and stop Colonel Gaddafi attacking his own people. The coalition was made up of forces from the UK, France, Italy, Canada and the USA. French aircraft fired the first shots. 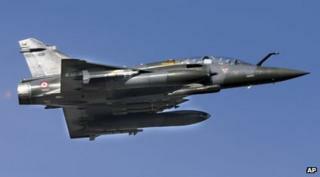 The first thing the coalition wanted to do was destroy Libya's air defence system around the capital Tripoli. Their second aim was to protect civilians from attack by Gaddafi's forces. The British government has said that foreign troops will remain in Libya as long as the people need protecting. Why is it such a big deal for the UK? The UK has a big history with Libya. Back in 1988 a bomb exploded on an aeroplane flying over Lockerbie in Scotland. 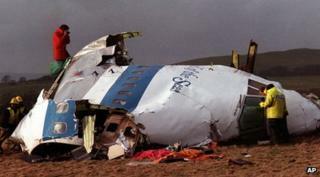 All 259 passengers and crew were killed, along with 11 people from Lockerbie. A Libyan man, Abdelbaset Ali Mohmed Al Megrahi, was found guilty. He was imprisoned in Scotland, but in 2009 he was released and sent back to Libya because he was very ill and it was thought he didn't have long to live. He is still alive and lots of people, including American President Barack Obama, have said the decision to free him was wrong.